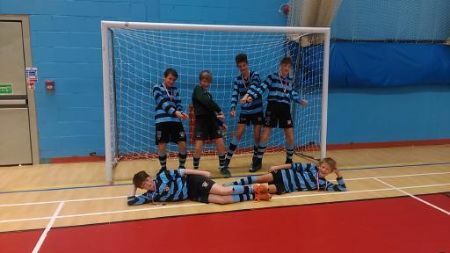 A brilliant day out for the U13 5 a side team who, after just one training session, were asked to play in an indoor tournament at Sevenoaks. With Tom H out injured and Arthur E, Archie T, Joe F with music commitments, it was up to Archie W, Jamie P, Will H, Henry C, Victor VDB and Theo B to do the business and did they do just that. Our first game was against Sevenoaks Prep, who were a well-organised side who kept applying pressure. It took us a while to adjust to the indoor environment and getting the ball out of our half proved tricky. After 5 minutes of defensive work, Archie W managed to exploit space and fire home a goal into the top corner. 1-1 the score, with a few minutes to go and again Archie the hero, with his silky skills drilling the last goal past the keeper. A wobbly start! We continued to progress, with a 2-0 win over St Michael's, showing more promise with the formation and movement of the ball, keeping the passes short and quick and moving into space faster. We came up against a very strong and well-organised Sevenoaks School side, who were the well-deserved winners of that match. We broke down at the back and made unforced errors, trying to play through rather than around. Our penultimate game was against Radnor House, which was a poor performance. The aftershock of the previous game, and having to play 3 games in a row, was showing. The boys lost their shape and managed a 0-0 draw, having created many chances 1-1 with their keeper, who was brilliant. We knew that, in order to win the tournament, we had to first of all beat Solefields and then Sevenoaks School would have to lose to Sevenoaks Prep. Not impossible! We did get our 3 points, thanks to a good cross in from Will and an own-goal from Solefields. No matter how they came, we applied the pressure and scored. 1-0 win. 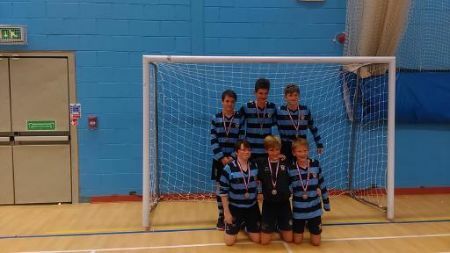 Sevenoaks School won their game and were the deserved winners of the Tournament, which meant that we were runners up, which was a massive achievement. 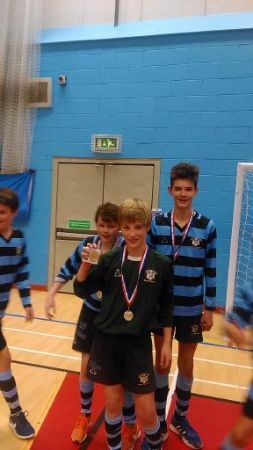 Congratulations to Henry C for receiving the 'Golden Gloves' award. Both he and Archie W were approached by a Chelsea recruiting coach for a possible promotion! Well done to all the boys for a great afternoon of footie!